Hey guys, thanks for asking! Well, in the next weeks we don’t have many live shows so we decided to utilize this little break to shoot our second video for our new album “Tomorrow”. We’re about to get all things done for that…finding the right location, choosing the right equipment and whole organisation around that. So hopefully you will get the chance to see it by the end of this year. Beside that there are always a lot of things to do depending on the band like looking for shows and festivals and looking for partners who wanna work with us. We’re glad that we get in in touch with ECLIPSE Records who decided to release our new album “Tomorrow” in the states – thanks to David Spaur who make this possible for us! So check our facebook site for release date and all the other infos during the next weeks! Well, and of course we are continously writing new songs for our next album. We wrote a bunch of new songs and we are working hard on them to find the best arrangement, creating great catchy and heavy vocals lines and stuff like that. In the near future we’ll do some first preproduction recordings to see what sounds working best on them. We planned to record the next album probably in the next 6 months so that we can release the album in mid 2014. 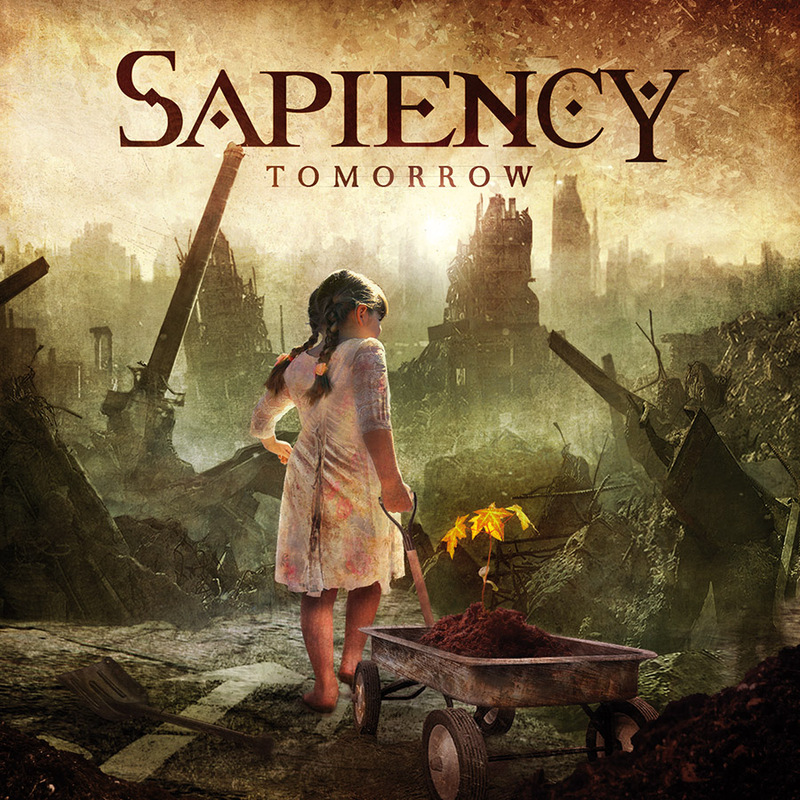 “SAPIENCY” was founded in 2009 by our two guitarists Rene Ritzmann and Holger Wenck who had been playing in various bands together before. 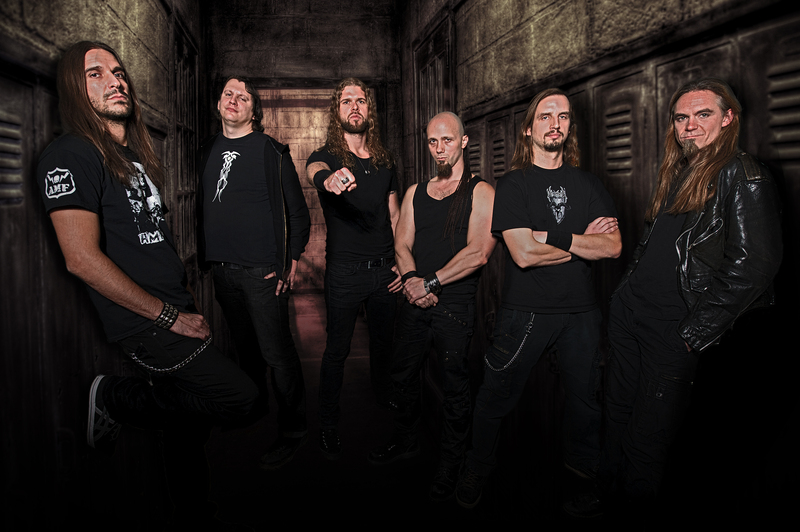 They got to know vocalist Lars Bittner while playing in a project, called “Force Trankill”. After this experience they decided to stick together as the core of the new band “SAPIENCY”.After we had fixed the lineup and finished the arrangements of the first songs our very first concert was a supportshow with „Deathstars“ and „Sonic Syndicate“, this experience was very exciting and a big pleasure for us. A couple of month later we recorded our first demo „MERCY“ and as a result of the reactions we get in touch with the label SAOL and sign with them in August 2010. Soon after this we recorded our very first debut album “Fate’s End”, which was released throughout Europe in November 2010. In may 2011 we went on tour for the first time with Powerquest and Pathfinder. This was a completely crazy experience to be on the road with this guys! In summer 2011 we went on tour with the 80s-icons W.A.S.P. during their world tour in Germany and we played several sold-out shows. During that time we played a lot of great concerts and festivals and supportshows for realy great bands like: Killswitch Engage, Sodom, Dead by April and many many more. To mention the highlights, in 2012 we had the great honor to play at The Mega Events “70.000 TONS OF METAL” and ” METAL FEST ” at the Loreley (GER).In august 2012 we signed again with SAOL and in march 2013 we released our new album „Tomorrow“ here in europe. In recent years, we have always had to cope some line-up changes until we find the right ones. But after all that line-up changes we finally found some additional professional musicians and good friends. And now here we are! I guess Asskicking modern melodic death metal based on the Gothenburger School would describe it best. A very good question: To be honest there are a whole lot of influences. Lars for example is a big fan of Prog-Metal and Djent-Stuff of any kind. Krsto and the other band-members are preferring louder and more aggressive music in a range from Pantera to Cannibal Corpse and even more brutal stuff. Everything we like is also inspiring us in a certain way. Indeed there are certain bands that we all are really excited about: If you ask us about the 6 greatest bands on the metal-globe everyone of us willanswer something like: Killswitch Engage, In Flames, Soilwork, Sonic Syndicate, Amorphis and Kataklysm. 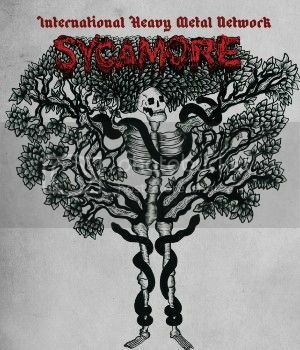 With the last three bands mentioned above we even had the most exciting honor to play in the same venue together: In 2009 we warmed up the stage for Sonic Syndicate in Germany and we met Amorphis and Kataklysm when we played on the 70.000tons of metal in 2012. In August we had the great opportunity to support Killswitch Engage here in our hometown at one of their gigs in Germany. 5- How is the feedback for your new album being? The response to our new album has been more than positive, so far we have received only good to excellent reviews from the magazines and also the feedback from our fans has been more than positive, therefore we are more than happy with the response to our new album. 6- And are your personally satisfied with the final outcome? We knew that we had to release something really good, because “Fate’s End” was already three years ago, and the expectations were high. During the time after our last album we have been a lot on the road and played many shows and this was very instructive and inspiring for the emergence of “Tomorrow”. Our attention was that we only wanted to take songs on the album that live cocksure works and definitely where no song is a stopgap. We also wanted an album that you can easly listen through in a loop, so that you can and want to hear it again and again and again. I think that’s what we did. Musically we have extended our limits and challenged ourselves in terms of musicality and endurance. Thus, yes, we are definitely pleased with the results! hmmmm, just three words? Higher, faster, more! 8- How has the production process for your new release been? It wasn’t that fast as it should be. We started to record the new album in december of 2011, during the recording sessions our Shouter Sebastian Shreds decided to leave the Band. We were absolutely shocked by his decision especially because a few days before we received the confirmation to play at the mega event 70.000 Tons of Metal and we had only three weeks to find a worthy replacement for him. As you can imagine, this was a difficult situation. We looked at all the bands that we have played together in the past and thought about who might be able to this job in such a short time. Finally, we asked Krsto from the band Vinion. He was our first choice because in the years before we played a couple of shows with them together so we knew that Krsto is a real great front man. Fortunately, he promised to do this job. We had a great time during the 70.000 Tons of Metal and his live performance was very convincing us, so we knew that we had found the right one. Short time later, Krsto decided to be a part of SAPIENCY. We stopped the recordings for the new album to revise all the songs again. Krsto worked very fast to to learn all the old and new songs and to create his own vocals arrangement and lyrics, until we were satisfied with the results, and finally in October 2012 we continued the recording of “Tomorrow”. Thats why it took so long! We promised ourselves to be faster by the next recording and there will be no line-up change next time. We can’t wait to get the next album done. As i already said we got a few songs done wich are really great to us and we are highly motivated to write new ones. We promise you will hear the difference between “tomorrow” and the upcoming album. 9- And how do you use to work on the songwriting? Usually every process of composing a new track starts with a set of improvised guitar- or melody-patterns which need to be arranged and recorded in the rehearsal-room. We are putting a whole lot of time, attention and energy into catchiness of each part and the improvement of each new song’s structure: Each part is examined in its bits and pieces until it is finally fixed. Different variations are getting tested to embed and fit the different parts into the best ever possible structure. Tailor-made, so to say. During this process the singer and shouter are inspiring themselves and are agreeing on a topic, which explains and supports the groove and melody of the basic song by creating a rhythmic scheme of words around the topic. In short words this means : Improvising live on the backing-track. During this phase our Bassplayer and Drummer are already working on track to improvise and compose their arrangements over the basic song. In the final phase we are verifying if the combination of melodic and heavyness until all of us are definitely satisfied with the result: We will only chose this song as a track for an album when this expectation is entirely met. As we said curently we are planning to produce our second video shot during the next weeks so there are a lot of other things to do. Writing new songs for our next album is one of the biggest focus for us. In the next 2 month we will start to record the first song for the upcomming album. We decided to record the upcomming album by ourself for the first time. So of course it will require a lot more forerun, because our expectations to the next album are very high. Therefore, we will pre-produce the first songs until we start the finaly recording of our new album, so that we have enough time to find out the right sound to kick even more asses and report us back with a new album in summer 2014. So keep your eyes on our facebook page (www.facebook.com/sapiency) as well as our homepage (www.sapiency.org) (which will go online in the next few days) to stay up to date on the latest news!